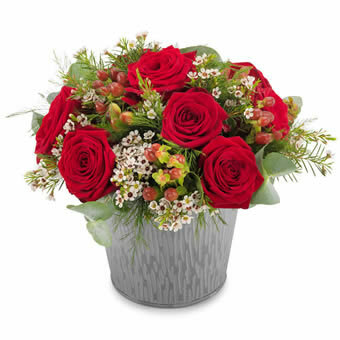 Express you love and feelings with this ultimate love arrangement created with the nobliest flowers: red roses! A touch of white brings a lovely contrast. A Valentine gift to be delivered at your door by a florist, isn't that a brilliant surprise idea?